This is a little app I developed for my daughters and they love it! 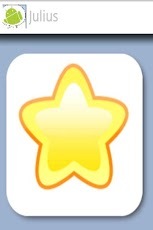 Kids Stars is a mobile behaviour/reward chart for children. With Kids Stars reward your children when you are out and about, rather than waiting until the child gets home. Studies show that better progress is made when children are rewarded immediately after their actions. 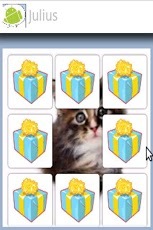 Reward your children for good behavior with "Stars". Each kid gets to press a big chunky star each time they behave well; pressing the star produces a round of applause. 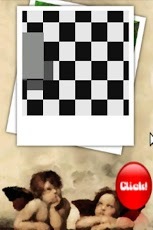 For each star won, the child then chooses one present on a grid of nine, the selected present is removed, revealing part of a picture hidden behind. 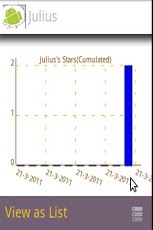 A statistics menu enables the parents to view their child’s statistics over time, this can be shown as a list or as a graph as well as a Calendar. For each day of the calendar, you can also specify your kids mood and leave a comment. Handy to keep a trace of your children behavior over the last days and months. You can also share your child’s progress on facebook. The application is best suited for 1-5 year olds. Suggestions and bug reports are more than welcome! It is also perfect for nursery and creches as it can support as many kids as you like and all stars can be published on your Facebook page for the parents to follow! Keywords: behavior chart, positive reinforcement, chart preschooler, toddler, rewards, calendar.